Invitation To Submit Expression Of Interest For Development Of A Shopping Center At Erf 914 And Relocation Of Ngqeleni Stadium. Bid proposals are hereby invited from suitably qualified and reputable service providers/Property Developers for Development of a Shopping Center at ERF 914 and Relocation of Ngqeleni Stadium. Please visit Leads 2 Business for more information on this Tender Notice. If you are interested in becoming one of our subscribers, please visit Leads 2 Business. To view notes with screenshots on how to use our website, please visit the Leads 2 Business Wiki. To view more articles, please visit the Leads 2 Business Blog. Construction of the De Zicht residential development on Erf 36555 and Erf 2, Milnerton, in the Western Cape. The proposed development will comprise of approximately 73 four-storey apartment blocks, each accommodating 12 apartments, 1571 parking bays, a clubhouse with associated ancillary uses, a guardhouse, and a refuse room. A boundary wall will be established along the southern boundary and there will be three access points to the development. The main access point to the proposed development will be gained off Sylvia Street, Richwood. If you are interested in becoming one of our subscribers, please visit our website. So its roundup time. End of year contemplation combined with a healthy amount of mayhem. But as we close off and tie up all the loose ends in a pretty bow, I wanted to present you with a neat package of all the best the year has had to offer. 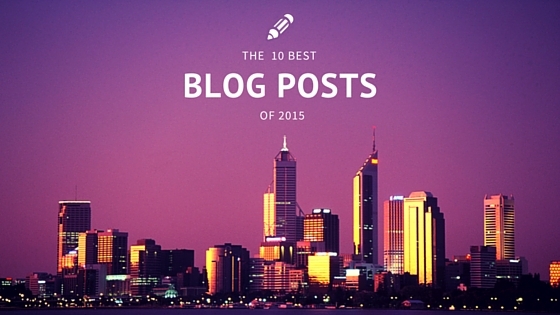 Well, strictly speaking, the 10 best blog posts we have had to date (which trickles just over a year) voted by your foot traffic. Now that you have had your fill of a good combination of facts and humour, I would also like to take this opportunity to wish you well for a fantastic festive season and peaceful New Year. Our offices will be closing on the 15th December and re-opening on the 6 January 2016. Until then, have a wonderful break and hopefully rest. Social Media adventurer exploring new frontiers and learning how to survive. Tongue in cheek and mischief are the order of any good day topped with a sprinkling of laughter. It was reported in January that work had commenced on 300 residential units that would form part of the massive Modderfontein City development in Gauteng. Modderfontein City will see the development of 1600 hectares of land over the next 10 to 15 years. The month of January also heard the announcement of R9.65 billion rand in infrastructure projects that would take place at Saldhana Bay. These developments will boost the Saldhana Bays Industrial Development Zone’s ability to service the offshore oil and gas industry. In February, The Green Point Athletics Stadium was officially opened, after a two year delay. The stadium boasts state-of-the-art facilities, such as a cobalt blue tartan track. March contained an abundance of positive construction news, completing the first quarter of 2015 on an exceptionally high note. The Youth in Construction Expo took place at the Sci-Bono Discovery Centre in Johannesburg from 2 – 6 March 2015. The focus of this Expo is to provide high-school learners with information on the many different career choices that are available in the construction industry. Also in the first week of March, the Steyn City development was launched. Steyn City is a huge mixed-use development and is the largest construction project to take place in Gauteng in many years, after Waterfall in Midrand. The Coega Development Corporation made an announcement early in March that a notice for an Environmental Impact Assessment would be issued for the possible development of a cargo airport and an aeronautical or aerospace industrial cluster in the Coega Industrial Development Zone. A sod turning ceremony took place towards the end of March 2015, for Phase 1 (Roosendaal) of the massive Delft integrated housing project. The four phases of the development are: Roosendaal; The Hague (Phase 1); Eindhoven and The Hague (Phase 2). This development will improve the living conditions of many of the area’s residents. The KwaDukuza Municipality approved the site development plans for the Ballito Junction mega mall (PPA’s 14139 and 14140) . The existing shopping centre will be expanded to more than six times its current size. After much anticipation, Unit 6 at Medupi power station in Limpopo finally began to produce power, marking new beginnings. The Robert Clarke Water Treatment Plant at Matla Coal Mine in Mpumalanga was launched in April, and is designed to alleviate water storage constraints, make sure mineworkers are safe and protect natural water resources. On the technological front, students from New York have developed the M-App. M-App is “a real-time tool that monitors and evaluates road construction projects to maximize service delivery and root out corruption”. An announcement was made in May that an International Convention Centre will be built in Rustenburg. The V&A Waterfront was named the preferred bidder for the new luxury cruise terminal in Cape Town. Thavhani Property Investments and the Thulamela Municipality announced the transfer of the land on which the Thavhani Mall (PPA’s 13674 and 13675 ) will be constructed. Construction of Phase 2 of Central Square in Sandton (PPA’s 10792, 10793 and 10794) commenced in July, and will comprise a 12-storey apartment block. A launch and ribbon cutting ceremony took place in August, for the construction of Sizabantu Piping System Manufacturing Plant. The SPS Manufacturing Plant is the first plant to be built as part the RBIDZ’s Phase 1A. A sod turning ceremony, to mark the official commencement of the Thavhani Mall in Limpopo, took place in August. 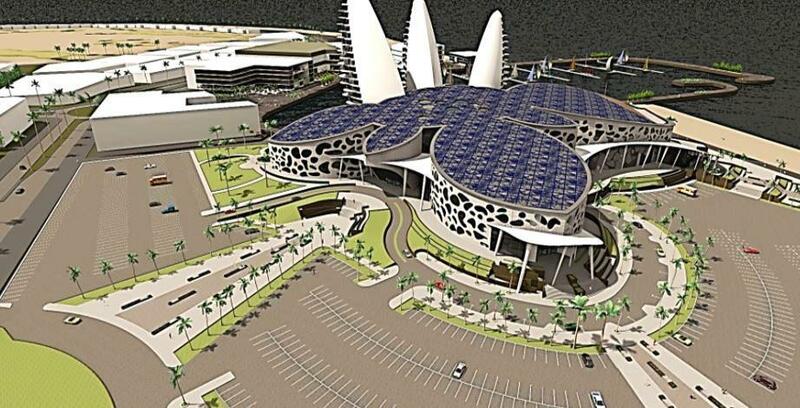 A Tender for the design and construction of a solar-powered plant was issued by Telkom. The proposed solar plant will form part of Telkom’s Centralised Energy Centre Project at Telkom Park in Pretoria, and will eventually allow Telkom to be electrically fully self-reliant. 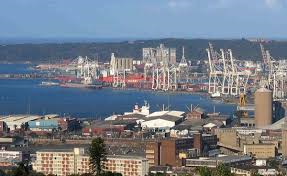 A briefing session took place in August for a Tender that was issued by Transnet National Ports Authority, for a cruise terminal facility at A and B Berths in the Port of Durban. Construction commenced on the Botshabelo Shopping Centre in the Free State. This is not exactly a highlight in terms of construction in particular, but definitely in terms of educating people about the natural environment in which construction takes place in. With the start of a very warm Spring season and the location of some construction in close proximity to forest areas, a very large African Rock Python, measuring 3.8 metres in length and weighing in at 31 kilograms, was found at a construction site at Izinga Park in Umhlanga in September! Thankfully, the snake was not harmed, but instead a snake removal company was called in to remove and relocate the reptile. Applause for all involved! Sanral received awards for both the Umgeni Road Interchange and the Candella Road Project. The Candella Road Project forms part of Sanral’s “green roads” initiative. This initiative aims to reduce the impact that road construction has on the environment. The innovative design of the Candella Road Project also increases skid resistance. The bridges in the Umgeni Road project were built using an innovation construction method, known as incremental launch. During the month of October, it was announced that there are plans to revamp the former Victoria Embankment, to be ready for the 2022 Commonwealth Games. 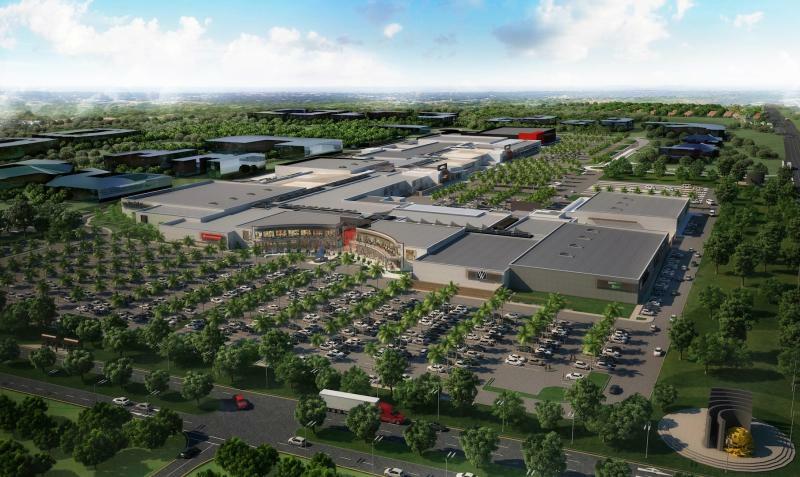 Another announcement made in October, was that of the major R1.1 billion revamp on the cards for The Pavilion shopping Centre in Westville (PPA’s 16674, 16675 and 17164) , near Durban. During this month of November, it has been reported that the VW PeoplePavilion, a multi-purpose complex for Volkswagen which is located in Uitenhage and was completed in 2013, received an award from the Eastern Cape Institute of Architects. The building was recognized as one of the leading architectural buildings in the Eastern Cape. December is fast approaching, and with the builders’ shutdown period looming, many developments are nearing completion. I am sure that there will be many positive news stories reporting on the completion of exciting new developments. I hope you enjoy many of the new or upgraded facilities that may be opening in your area during the festive season! Here’s to all the new and exciting developments that will be taking place in the year ahead. Bring on 2016! I had the privilege of joining the Leads 2 Business content team in January 2012. I work in the exciting Projects department, following the progress of construction developments in KwaZulu-Natal and the Free State. Developing Africa … is Africa the new China? When I first stepped into the Private Projects Department, I had a vague idea of what to expect from Africa. 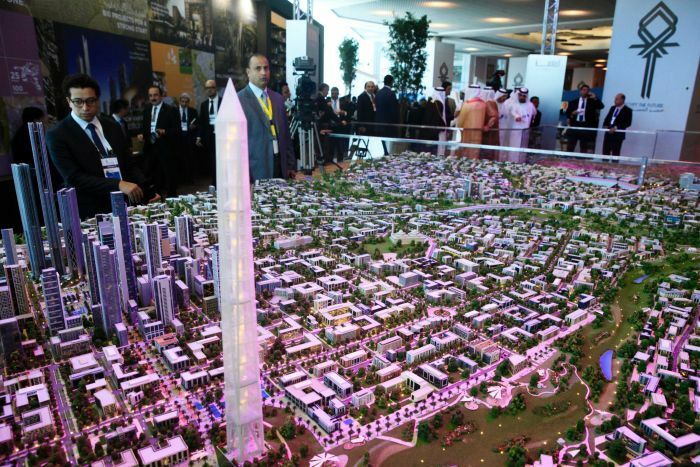 These are some of the developments that spring to mind…developments that take your breath away…but how on earth are these small, money hungry countries going to fund, let alone develop these ambitious projects? Projects so ambitious they raise eyebrows…well, mine mostly. For example . 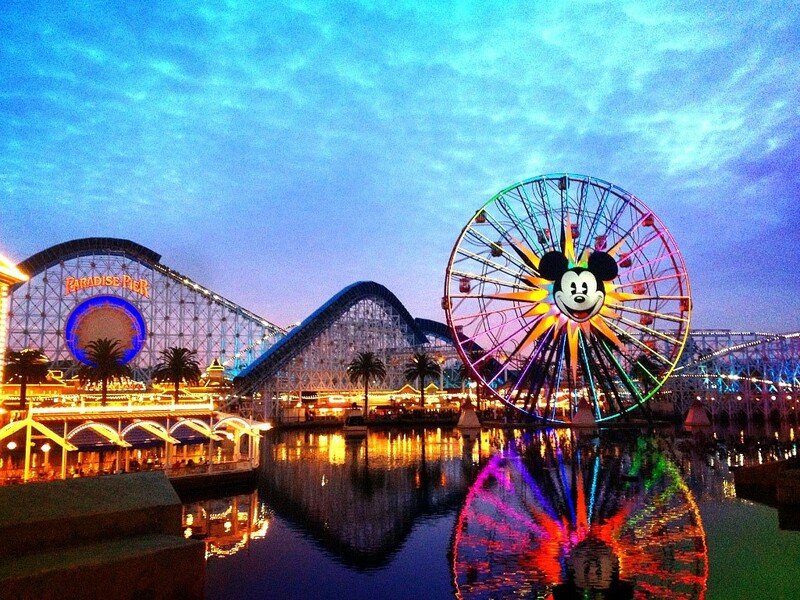 Zimbabwe wanting to build a Disney Land at Victoria Falls…a pipe dream at the moment, but what a dream!! Just to keep tourists there longer than a day or two. African Development Bank is one way, but most of the investments are coming from China. The Chinese footprint in Africa has been cemented. In the last decade, investment in Africa by the world’s second-largest economy has surged to $2.9 billion from $75 million, and with it China’s influence can be seen everywhere. 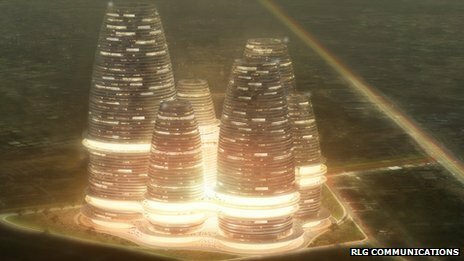 The next question… who is going to build these huge developments? China of course.! If a Chinese company has invested in a Project, you can be sure that they will be building it too. Build, Own, Operate. But there are benefits, the Chinese do subcontract some of the work to the locals. Swaziland, however, in an effort to ensure that their local contractors still have work and can tender for contracts, have implemented the rule that any projects less than E120 million cannot be awarded to foreign companies. So, what has this have to do with developing Africa? Just feeding Africa does not solve anything. Providing them with employment that doesn’t warrant anything more than maybe digging a hole in the ground, painting a room, something that doesn’t require much skill, but providing these people with employment, a sense of self, educating them. Providing them with purpose. A trade. Hope. To me, that is really developing Africa. When I used to imagine Africa, I used to think of trees, rivers, wildlife, war, jungles and deep dark Africa … nothing much could be happening there right? How wrong was I !?! You might take a sneaky glance at twitter’s ‘trending’ timeline to answer or perhaps Google. What about Africa? 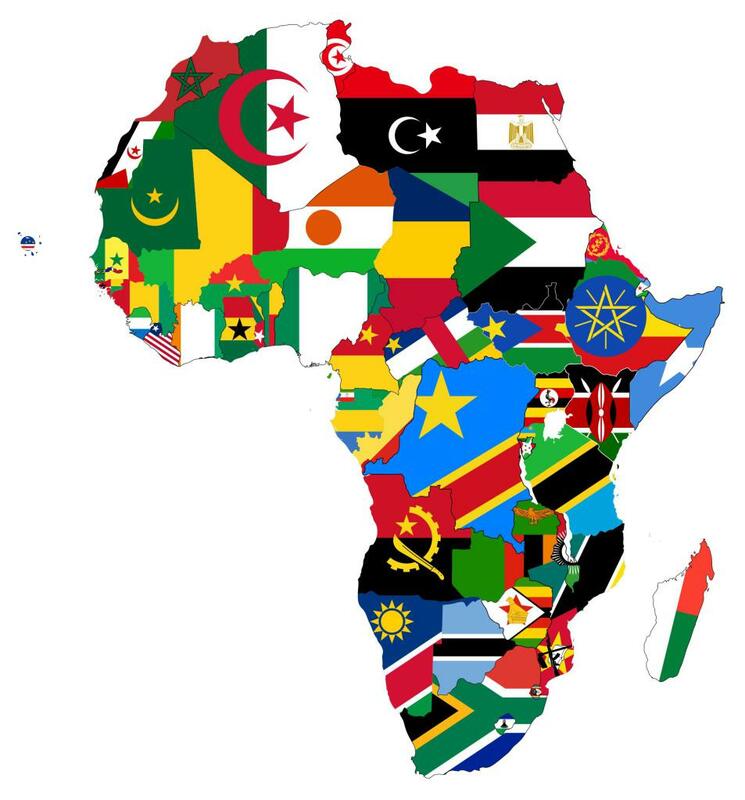 [tweetthis]Do you know what the Trends in Africa are? [/tweetthis] Many may answer with, “no clue”. I doubt that this will be your answer for much longer. The narrative on Africa is evolving, there are more individuals and companies joining in the conversation and rightly so. Previously known as ‘Deepest Darkest Africa’ and most recently dubbed ‘Silicon Safari’, Africa is not only becoming an interest but a Trend in itself. According to numerous sources the biggest Trend in Africa at the moment is Technology. Frost & Sullivan report that Africa could evolve into a $50 billion e-commerce market within the next three years. Kenya and Nigeria are leading in terms of fundraising and start-ups, other countries include Tanzania and South Africa. Africa has had explosive increases in internet usage and economic growth. In fact Internet usage is now growing faster in Africa than in any other continent and mobile subscriptions in Africa have eclipsed those in the Asian Pacific region. Companies like Safaricom, IBM and Facebook have all realised the significant opportunities for investment and innovation on the continent. Technology is a major driving force of progress in every industry. This is particularly evident in Education in Africa. Tony Bates highlights the boom in online higher education enrollments in Africa, with many countries using eLearning as a way to meet the increased demand for higher education that traditional programs cannot. South Africa is the dominant country but will be overtaken by Nigeria by 2016 in terms of the volume of revenues from eLearning. 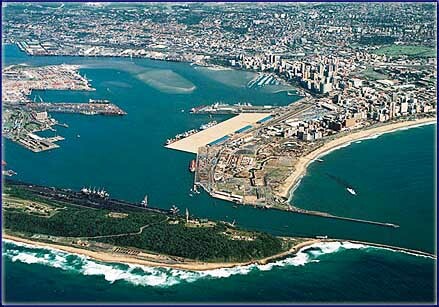 According to a Port Development Plan by Transnet National Ports Authority (TNPA), dated September 2014, various developments have been listed for the Ports currently under the TNPA’s care and control, namely Western Ports: Saldanha Bay, Cape Town and Mossel Bay; Central Ports: Port Elizabeth, Ngqura and East London and Eastern Ports: Durban, New Durban Dig-Out Port and Richards Bay. Below is a brief breakdown of some of the activity at South African’s various Ports. Port of Saldaha Bay – In 2013 with the aim in increasing the iron ore export from the Port of Saldanha Bay, Transnet proposed a third tippler and associated infrastructure, for which Gibb (Pty) Ltd were appointed as the Independent Environmental Assessment Practitioners. The tender for the Construction of Vault, Tunnel, Buildings and Ancillaries for Transnet Tippler 3 Project at the Port of Saldanha was advertised at the end of July 2015 (DTA 525896) and is expected to close on 08 September 2015. Port of Cape Town – The Request for Proposal for the New Cruise Terminal Facility at the Port of Cape Town was advertised in December 2014 (DTA 487279), and in June 2015 the announcement by Transnet National Ports Authority (TNPA) was made of the preferred bidder being V & A Waterfront (Pty) Ltd. According to the media statement, the V & A Waterfront will invest just under R179 million to finance, design and develop the terminal and the agreement includes the operation, maintenance and transfer of ownership of the facility back to TNPA after a period of 20 years. Currently, V & A Waterfront are in negotiations to sign the lease, and it’s expected that any development will only commence after May 2016. Port of Mossel Bay – The most recent tender concerning construction in the Port of Mossel Bay is the Request for Proposal for Extension and Construction of the Administrative Building in the Port of Mossel Bay (DTA 500781) which was advertised in March this year. So far no award has been made. Port of Port Elizabeth – TNPA expectes to relocate the Manganese Ore Terminal and the Tank Fam to the Port of Ngqura. TNPA expects to start shipping manganese ore out of Ngqura in 2019 and the relocation should happen before this. As of December 2014, it could take these four years before the Manganese Terminal at the Port of Ngqura is completed therefore ending the relocation from the Port of Port Elizabeth. Apparently the plan is to convert the Manganese Terminal and tank farm land into a vehicle terminal, the timeframe for the decommisioning and rehabilitation of tank and manganese land is 2018 to 2021. As of 14 August 2015, Transnet Port Terminals was issued with a permanent operating license for operating the manganese terminal at the Port of Ngqura. Port of Ngqura – Manganese Export Expansion Project at the Port of Nguqura involves the upgrade and expansion of the rail network, new bulk minerals export terminal and the reinstatement of existing berths. Infrastructure will comprise new roads, infrastructure services and buildings as well as new equipment: stackers, reclaimers, surge bins and an unloading system (tippler), a conveyor system linking the stockyard with existing berths and these berths will be equipped with twin shiploaders. The tenders for the Port of Ngqura Manganese Export Terminal (DTA 444247) as well as Phase 2 of the Rail project (DTA 444237) were advertised April 2014. The tender for the Design, Supply, Installation and Commissioning of 2 Shiploaders for the Ngqura Manganese Export has been advertised in August 2015 (DTA 527882) and ix expected to close on 22 September 2015. The tender for Design, Supply, Installation and Commissioning of a Rotary Dual Wagon Tippler Facility including Supply and Installation of Apron Feeders, Dust Extraction and Suppression Systems, for the Ngqura Manganese Export Terminal is also out (DTA 527873) and also closes on 22 September 2015. Port of East London – In July 2014, it was announced that the Coal terminal at the Port of East London would move to the new Port of Ngqura and be operational in approximately five year’s time. 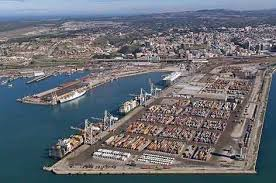 Future development that might be expected is the extention to the Port of East London to include an expanded container terminal, refurbish liquid bulk facilities and boat building. Port of Richards Bay – With regards to the Port of Richards Bay, plans include the establishment of a liquefied natural gas (LNG) facility. Port of Durban – The Request for Proposal for the Design, Development, Financing, Construction, Operation and Maintenance and Transfer of the New Cruise Terminal Facilities at the Port of Durban was initially advertised in June 2013 (DTA 382061). No award was made and it was advertised again in July 2015 (DTA 524504) The RFP is expected to close on 02 October 2015. I started working at Leads 2 Business in February 2005, and have served as Head of Department of Daily Tenders from 2007 until the present. I oversee both the Daily Tenders South Africa and Africa Departments.